Secret Music Festival returns to the Rossendale Valley in 2017 for a huge 14-hour party. 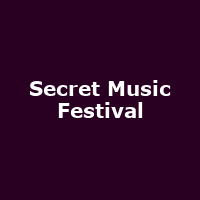 "Secret Music Festival is about stripping back the commercialisation of electronic music events and promoting local, unheard and underground talent to true music lovers." The 2017 line-up includes Reb-Jade, Twinsoun, Ainsworth, Skinny Beard, Brandon Hope, Josh Simpson, Damien Oldham, Carl Andrew, Kurtis G, Lucius Lowe, Tim Taylor, Nat C, Jack Roberts, SinceAlways, Dean Chandler , Sonda, A.N.T and more.